Order within 11 hours 29 minutes for Same Day Delivery! 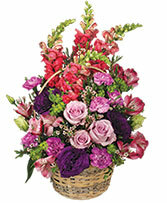 Sign up now for a free monthly newsletter from Flower Shop Network. Topics will range from plant and flower care to holiday and gift giving ideas. Signing up is easy! Fill out your information and submit the form below. Looking for a gift? 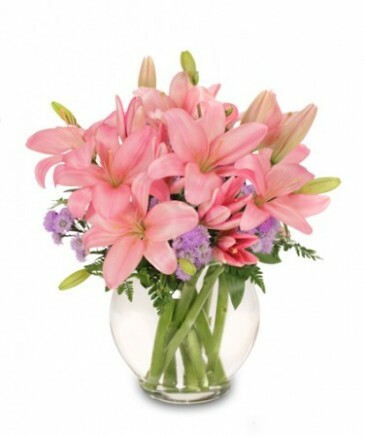 Here are a few of our favorite flower arrangements! 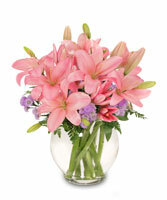 A simply breathtaking bouquet of pink lilies and lavender ‘Monte Casino’ asters that says how much you really love them! 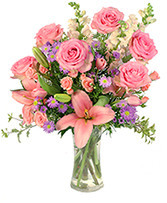 Order these flowers in store or online today!